After a brief, Christmas-themed interlude last month, the march towards “City at War” and the monumental #100th issue begins here. 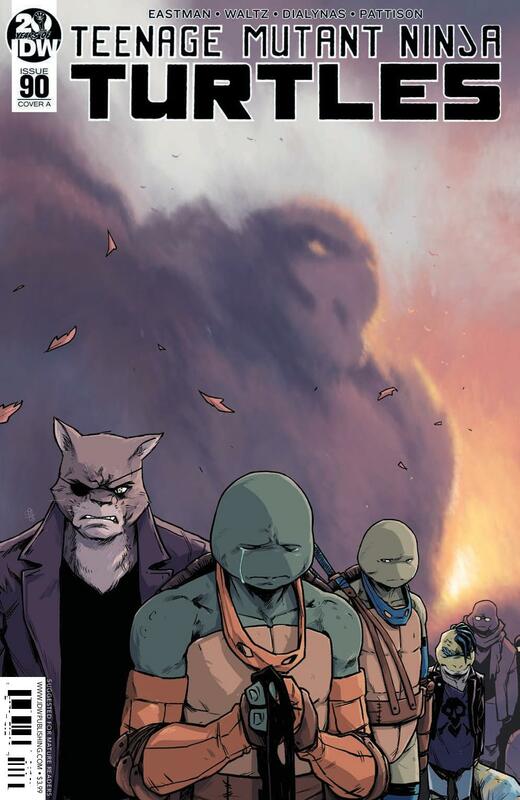 But before we get into that, our heroes take a moment to grieve for their fallen companion Slash. 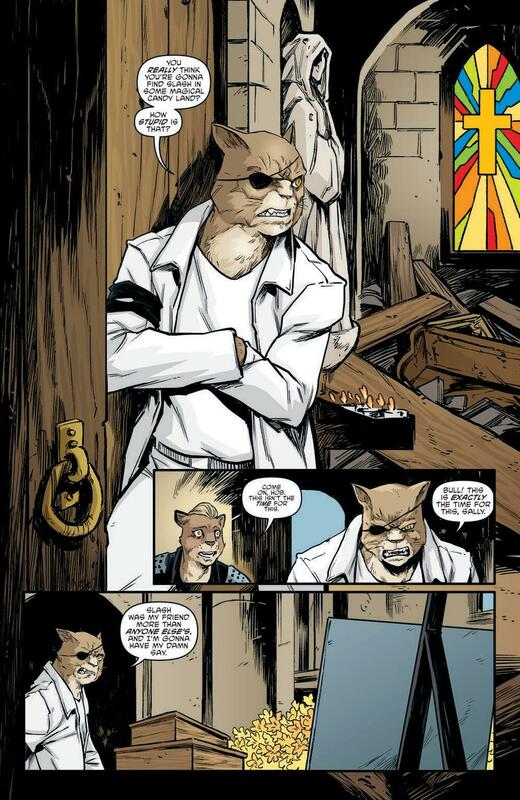 There are some cool moments and powerful imagery here, including Mikey delivering an impassioned eulogy for his departed buddy, but for me nothing stands out more than the angry, determined Hob wearing a white trenchcoat and using Slash’s black bandana as an armband of mourning. Hob has been an incredibly underrated (and under-utilised) character for quite some time now, so hopefully this recent turn of events will see him being pushed back to the forefront of the war against Bishop and the EDF where he belongs. Michael Dialynas is on art duties again here, doing a typically strong job with what is essentially a ‘talky’ issue. He does some great work with the expressions of the characters throughout, keeping things impressively restrained and understated in spite of the powerful emotions swirling about. 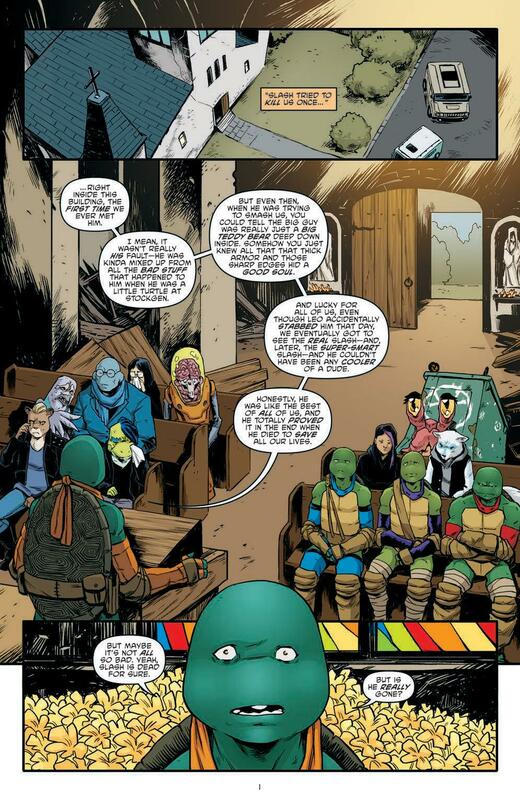 The Greek artist continues to be of my favourite TMNT illustrators, and with the exception of a slightly confusing moment in the final pages where the line between flashback and present day becomes a little confusing, this is another well-drawn issue, with Ronda Pattison doing her usual solid job on the colours. 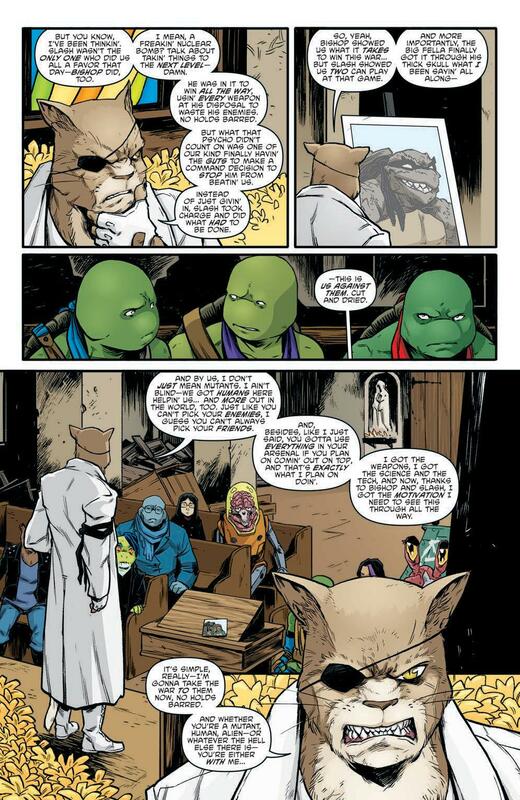 Moving forwards, there are some interesting new wrinkles thrown into the mix here, including Bishop receiving an unexpected offer of assistance and an increased level of uncertainty and self-doubt being displayed by Splinter. 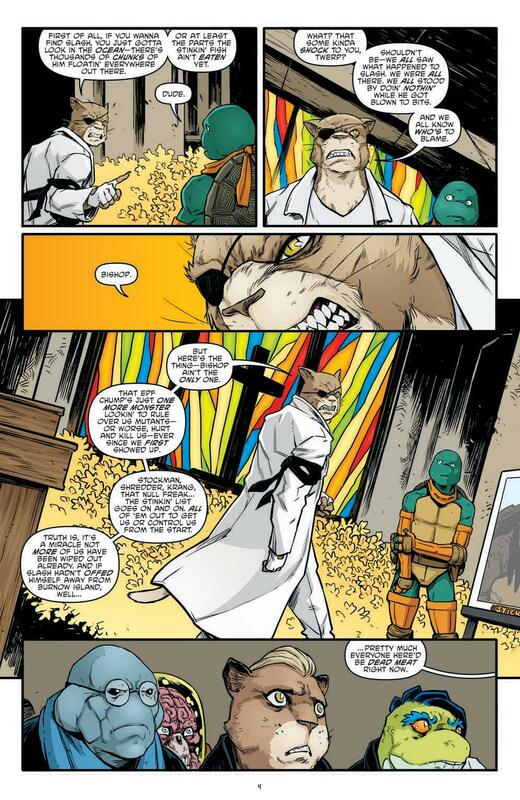 We also get a little advancement of the blossoming relationship between Casey and Jennika which, if I’m being honest, I personally have zero investment in. 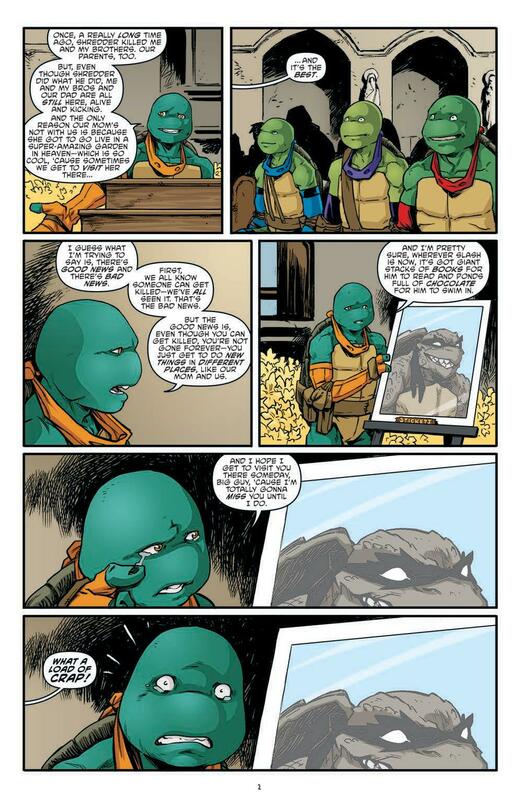 If you’re a long-time reader of IDW’s TMNT series you’ll be familiar with these sorts of issues. A deep breath before the next big plunge, where Waltz, Eastman and Curnow subtly shift their playing pieces into position for the upcoming storyline. In that respect this issue certainly delivers, and while it may not provide the same level of excitement as other recent single issues, its impact in the long run is likely to prove invaluable. Definitely worth a read, particularly if you’re in this one for the long haul.